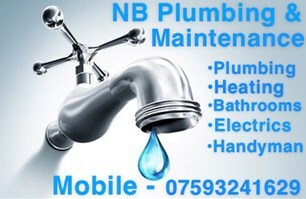 I have 10+ years experience in plumbing and Maintenace and offer a very reliable service, that I run 24 hours, 7 days a week including emergency call outs. I take on all jobs types no matter how big or small the job is. Im available to call for a free no obligation quote and I will be more than happy to answer any questions you have.